Royal Caribbean has selected Malaga as the port of choice to unveil its newest cruise liner Spectrum of the Seas. Constructed in Germany by shipbuilders Meyer Werft, the latest edition the Royal Caribbean’s fleet is expected to arrive in Malaga on April 16th. Touted as being the most technologically advanced cruise liner afloat, the Spectrum of the Seas follows on from the successful unveiling in Malaga of Symphony of the Seas the largest cruise ship ever built. The new ship has half the capacity of 5,518 passenger Symphony of the Seas and was built for big spending customers in the Asian market. Following its debut in Malaga, the Spectrum of the Seas will sail for Barcelona where it will pick up passengers for a 51-day cruise to China and its new homeport of Shanghai. 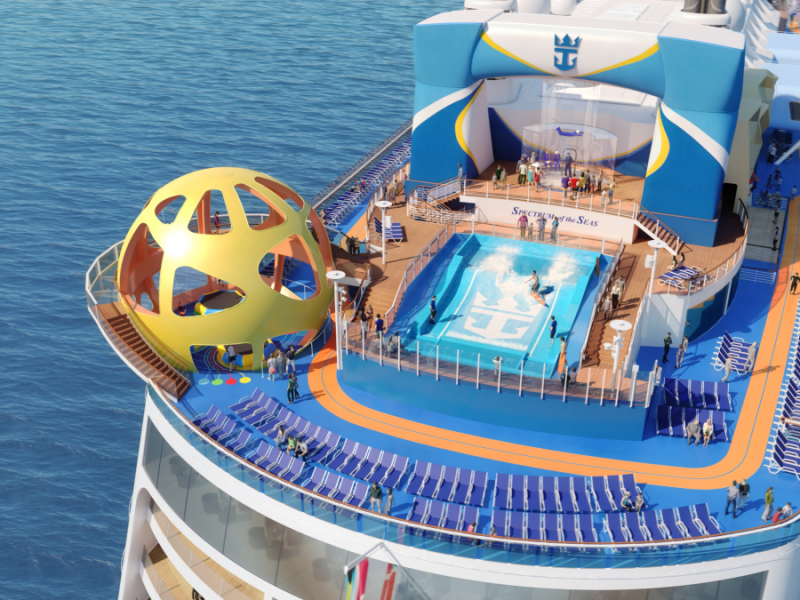 Like all of Royal Caribbean’s ships, the Spectrum of the Seas is designed for passengers of all ages, but especially so for those who appreciate a full entertainment and sports package. When it comes to dining the ship is no slouch either with 18 restaurants that include an upmarket Chinese eatery called Sichuan Red, a Japanese teppanyaki-style steak & seafood house and a noodle bar for quick snacks. 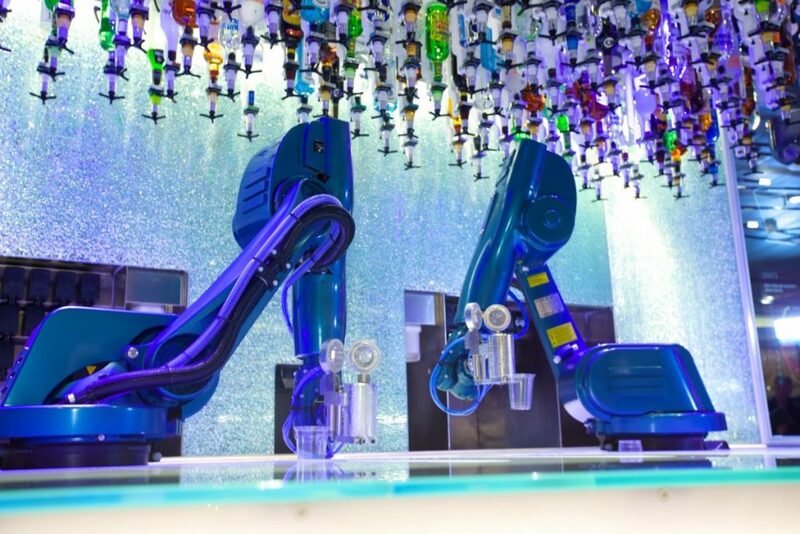 The ship also features 9 bars and lounges that include one called the “Bionic Bar” where robots mix and serve all the drinks. If you happen to be on holiday or live in the area while the ship is in Malaga you definitely check out Malaga’s rejuvenated port district where you will find all the latest fashions and plenty of places to grab a bite to eat including the New Malaga Hard Rock Café which just opened last month. OMG that’s a big one!